Anyone else sorely disappointed in the selection of books on the Winter Olympics? I sure am. 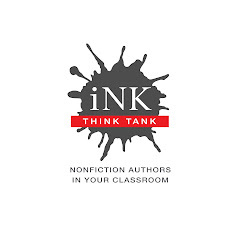 I’ve been trying to put together something interesting for my K-3 crowd: a little bit of general history, some stand out biographies, and (if it’s not asking too much)a concise explanation of the actual winter events. The pickings are certainly slim. As I search and search again, the most frequently viewed item is a fiction book about a certain penguin in a Hawaiian shirt named Tacky playing his own version of the Winter Games. Where are the I.N.K. books on this subject? Isn’t this the kind of subject where non fiction should shine? Only one book stands out to me, and I’ve been forced to rely on more than I would like. 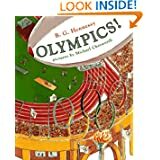 Olympics by B. G. Hennessy. Other than that, The Magic Tree House series does tackle the Ancient Games in one volume. It even has a non fiction companion "fact tracker" listing facts about Ancient Greece and the Olympics. It’s certainly possible an intrepid second grader could read it without falling asleep. Next week lets wave our flags and pretend to bobsled on our sofas. And lets think about, and perhaps even start writing, some medal worthy books. My book about the WInter Games, Freeze Frame, came out a while ago, in 2006. But the history is still relevant. Sorry to say, though, that it's aimed at young adults. There's a British Web site with grade-appropriate material on the Sochi Games: http://www.activityvillage.co.uk/winter-olympics. There are probably others as well. One problem with publishing books about the Olympics is that they have limited shelf life. They only sell every four years, and there are sometimes HUGE returns—of the books that didn't sell before the games. Yes, your book is sadly too old for the kids I'm working with. I've used that site for some print outs but, surprisingly, there's not a lot of free material available right now on the internet. I'm still confused about why there are numerous well-written pb biographies of Summer Olympic Stars (like Kathleen Krull's Wilma Unlimited or numerous books on Jesse Owens and Paula Yoo's bio of diver Sammy Lee) but none about Winter Olympians that I know of. I think it will take some time before the young and amazingly talented atheletes who participate in various winter sports get the natonal acclaim that goes beyond their sport (that has legs beyond the Olympic games). The young women in ski-jumping are sailing 400 plus feet and are a focus of attention now, but will their life's effort, their struggle to be accepted still grab attention next month, next year? I think it should (and the same goes for other atheletes in other disciplines), but we'll have to see how all of this plays out. I think summer sports are more universal. Most winter sports require a greater financial investment for equipment and training, and they also require cold weather, the Jamaican bobsled team notwithstanding. So they are by definition more elitist than many summer sports. Winter sports have grabbed a new audience with extreme events in snowboarding and freestyle skiing, but even so, few of those athletes have the universal appeal of a Jesse Owens or a Wilma Rudolph. Possibly some of the female figure skaters would have great appeal--Peggy Fleming did in her day--but still it's with a limited universe.